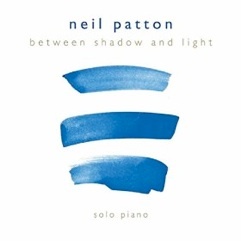 Solitaire is Neil Patton’s fourth solo piano album following his 2015 release Between Shadow and Light, which was awarded “Album of the Year” on MainlyPiano.com as well as several nominations for similar accolades. 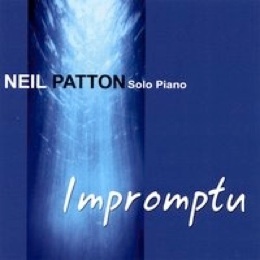 I’m going to quote myself from my review of that album because the statement is equally accurate and valid for Solitaire: “There are a lot of really good pianists on the contemporary piano scene, but only a few are breath-taking, and Neil Patton is one of those. With impeccable technique, lightning-fast fingers, and amazing control of the piano, Patton also brings that intangible magic and passion to his compositions and playing that set him apart from most.” I’ll add that Neil Patton is one of my top five favorite pianist/composers on the planet and that I hope the wonders of his music will reach many new and appreciative ears and hearts with this release. The fifteen original piano solos on Solitaire express the wide variety of emotions experienced when we are alone as well as the many life events that can result in solitude whether we welcome it or not. The CD liner notes explain the thoughts and inspiration behind each piece, often reflecting Patton’s deep faith. Some of the pieces are big and triumphant, while others express grief and sadness, joy, and everything in between. This is music that has substance, beauty and profound depth, played with passion, compassion and soul-stirring empathy. Neil Patton is the real deal, folks! It’s not often that I have a hard time naming favorite pieces on albums, but every track on Solitaire is a favorite. It begins with “The Turning Page,” a gentle reminder that “each day is a journey to the next, and is not a permanent residence.” (quoted from the liner notes) Expressed with grace, it’s a very welcoming start. “Redemption” quietly offers hope and the promise of a Redeemer to those who have lost it all. Warm and encouraging, it’s a rainbow shining through the dark clouds. “Walking On Air” takes a different look at solitude - one of freedom, renewed energy and the possibilities of time spent alone. This piece is absolutely euphoric and ends with a surprising percussive burst. “The Shepherd” is a tender message of gratitude to the pastors of small churches - delicate, fragile and very sincere. “Lacrymosa” is for those who mourn. Comforting and soothing, it offers open arms and a sympathetic ear - stunningly beautiful. Although it is light, “Twilight” is bittersweet as it reflects on those who have lost many friends and family members to the passage of time. The title track is a swirling celebration of the “precious stones all around us.” Joyful and energetic, this one is sure to bring a big smile! “Back Porch” is quite different with a folksy feeling and a slight country “twang.” It is about the easy peace that can come from the solitude of reading a good book or having a pleasant daydream while sitting on the back porch. “Gethsemane” is the most breath-taking piece on the album and HAS to be heard. The title refers, of course, to the place where Jesus was hung on the cross. At over eight minutes, this is the centerpiece of the album, although placing it anywhere else in the playing order would have overshadowed the other tracks, no matter how exceptional they are. 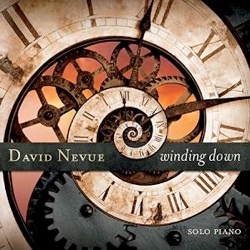 This is one of the darkest and most powerful piano solos I’ve ever heard. I can’t imagine anyone hearing this masterpiece and not being profoundly moved. Incredible. It is early in the year, but I have a strong feeling that Neil Patton will have his second Album of the Year award from MainlyPiano.com. This album is a masterpiece from start to finish. Just don’t expect it to be background or mood music. 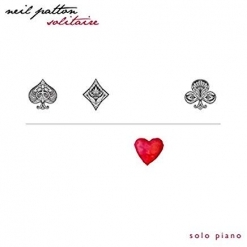 Solitaire is available from www.NeilPatton.net, Amazon, iTunes and CD Baby. I give it my highest recommendation.